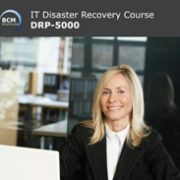 BCM Institute’s IT disaster recovery plan(IT DRP) certification courses are internationally recognised and is the choice certification for IT professionals looking to gain their DR planning competency certified. At the end of each course, participants would be assessed through assessments or examinations to ascertain his/her level of competency. They can look forward to receiving an internationally recognised IT disaster recovery certification through any of our IT DRP certification course. IT DR professionals who would like to gain an understanding of IT DR and how it relates to BCM as well as get their IT DR experience internationally certified, can look forward to enrolling in any of 4 of our certification courses. This is a 1-day fundamentals course on IT disaster recovery plan management (IT DRP) best suited for someone who wants to have a cursory understanding on the subject. 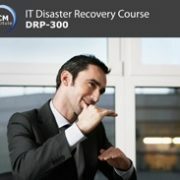 This is a 2-Day intermediate IT Disaster Recovery (ITDRP) course that incorporates DRP-200 syllabus on its 1st day. Best suited for DRP coordinators who would like to know the theory and practical approach to implementing a DRP plan for their department, there is no experience pre-requisite for attending the course. 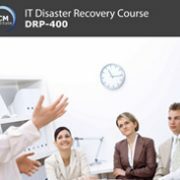 This advanced 2-Day IT Disaster Recovery Planning (IT DRP) course is a follow up to those who have attended the DRP-300 IT DRP Implementer course. Here, participants will be taught how to manage and maintain a DRP plan taking into account the individual organisation’s IT DR vendors requirements. Cybersecurity, cloud and parts of ISO 27001 requirements would be discussed briefly. This is the most comprehensive and holistic IT DRP course by BCM Institute. It covers syllabuses taught in DRP-200, DRP-300 and DRP-400 courses. 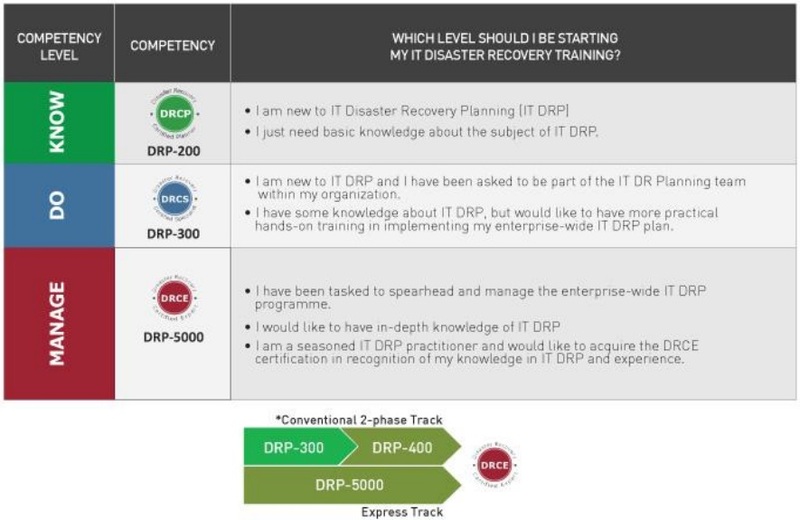 It is the only course that addresses IT DRP needs in relation to its business continuity and crisis management counterparts. It brings participants through from DRP’s fundamentals through to addressing the relationship between a DRP Manager and its organisation’s DRP vendors and their respective system requirements.